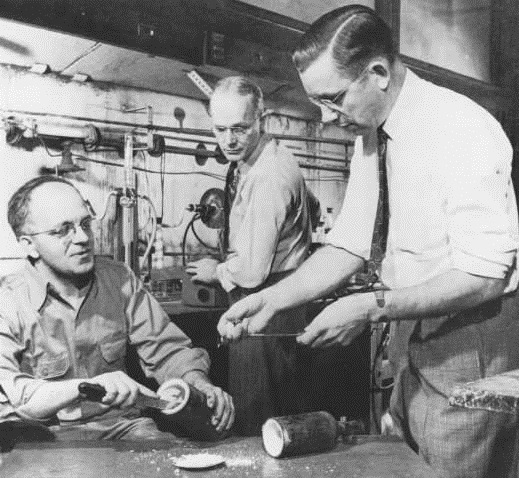 Reenactment of the 1938 discovery of Teflon. Left to right: Jack Rebok, Robert McHarness, and Roy Plunkett. Courtesy Hagley Museum and Library.